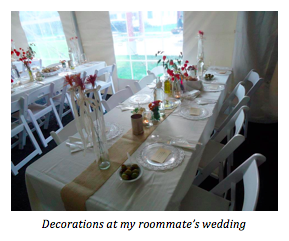 My infatuation with Pinterest, a social bulletin board and image-sharing site, started at my college roommate’s wedding this past September. While she’s always been crafty, she took DIY to a whole new level, creating everything from centerpieces to ceiling drapery. When I asked the secret to her ingenuity, I got a one-word answer—Pinterest. I was intrigued, and apparently not the only one. In joining the site, I was pleasantly surprised to find that many of my friends (more than just my techie, marketer ones) already had Pinboards—or personal online archives of things they’ve found on the web—and were actively saving and sharing everything from recipes to desired home décor. The site’s quick rise in popularity among people who aren’t normally early adopters—like my mom for instance—is one of the reasons I think marketers need to pay attention. In fact, TechCrunch reports that site visits grew 40-fold from June to December 2011 to 11 million. This kind of adoption presents awareness, branding, sales, SEO and customer-loyalty opportunities for marketers. Interested in getting started with Pinterest? Read on for more information and tips. In addition to creating their own Pinboards, users can follow those of their friends, enabling ideas and products to spread quickly. Below are screenshots of my Pinboards and activity stream as examples. Is Pinterest a Fit for Your Brand? Wedding decorations, flowers, dresses, rings, etc. Top brands that have found success on Pinterest include: Whole Foods, Real Simple, Bergdorf Goodman, west elm and the Travel Channel, among others. That being said, participation is not limited to these types of companies or markets. For instance, nonprofits may find success by telling their story through images, as charity:: water or The National Wildlife Federation are doing. Be creative, and find a compelling way to present your brand’s products/services, values and interests visually. If Pinterest seems like a fit based on your audience, products/services and company goals, then below are some tips and considerations for getting started. Integrate plenty of visual content onto your website and blog. Pinterest is a visual site; attractive or interesting images are usually the ones that get pinned and shared. Pins automatically link back to the image source. Add ‘Pin It’ buttons to your site to make it really easy for people to share your content, like Etsy recently did. Create a profile on the site. Include a keyword-rich description of your organization, and links to your website and social accounts. Keep your profile public so it appears in search engine results. Share things relevant to your target audiences and products/services; however, don’t be overly self-promotional. Be sure to follow Pinterest etiquette. When pinning, include keywords within your image descriptions to help your content get found in searches on Pinterest. Create multiple Pinboards based on specific topics, rather than placing all your content in one board. Assign a Pinterest category to each Pinboard to help people find them. Follow and interact with users by liking, repinning and commenting on things they share. Consider launching a contest or giveaway to get your online following excited. For example, Lands’ End Canvas held a “Pin It to Win It” promotion. How are you using the site? What opportunities do you think exist for marketers? Share your comments below. 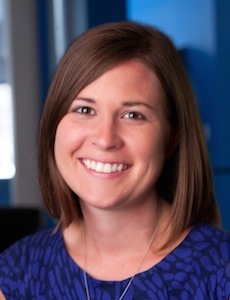 Tracy DiMarino is a consultant at PR 20/20, a Cleveland-based inbound marketing agency and PR firm. Follow Tracy on Twitter @Tracy_J_Lewis or Pinterest.